Burke first seized an opportunity to break into the radio industry at CMU, when she ran a Sunday radio show, “News Probe,” promoting newsworthy campus events. But that wasn’t her original plan. 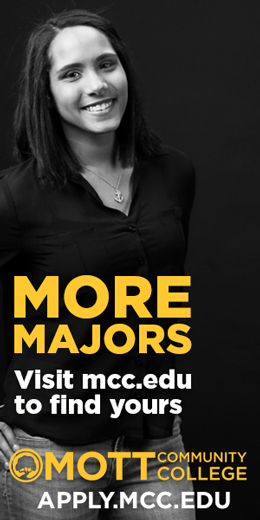 “I started out thinking I’d be a pharmacist,” she says, “but, I was lost after two weeks of advanced chemistry.” Her desire to become a deejay happened randomly after she heard a radio announcer mess up a song title and artist’s name. Burke, an MTV Baby and music trivia over-achiever, corrected the announcer in her head and thought, wait a second … I can DO this. She followed her instincts and hasn’t regretted it. “Being on the air is super fun,” she says. 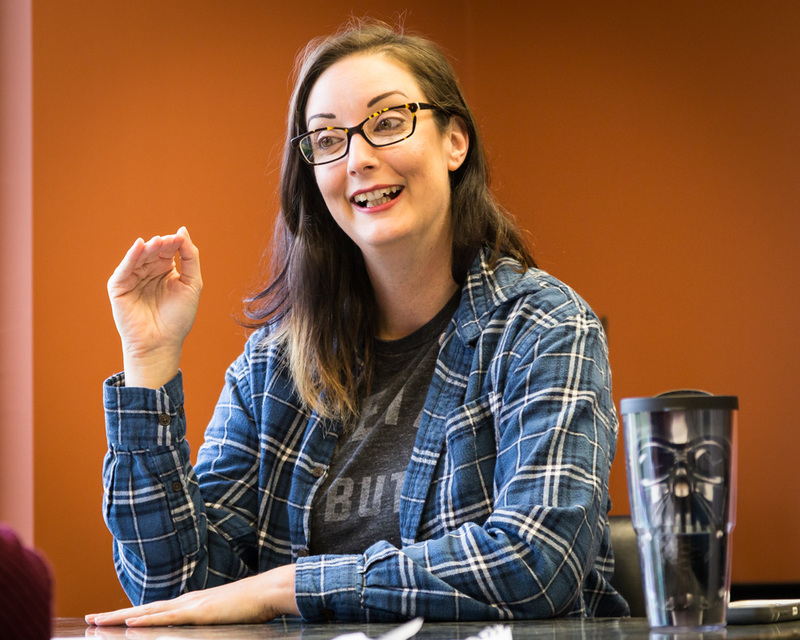 “I work in an environment that promotes creativity, and I get to interact with inspiring people.” Burke spends more than 40 hours per week at Townsquare Media, a Flint digital media and radio advertising company and the home of several local radio stations. “I love how they let me fly my freak flag here,” she laughs. 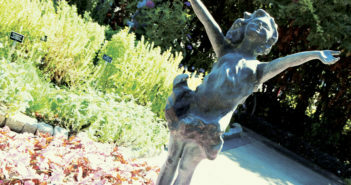 Early in her career, in the late 1990s, she admits being nervous in front of the microphone. “I try not to think about ratings or anything like that,” she says. “I’m my own worst critic. Eventually though, I learned to view my on-air time as a conversation with a friend.” Burke appreciates feedback from fans, and values their comments and interaction through social media. 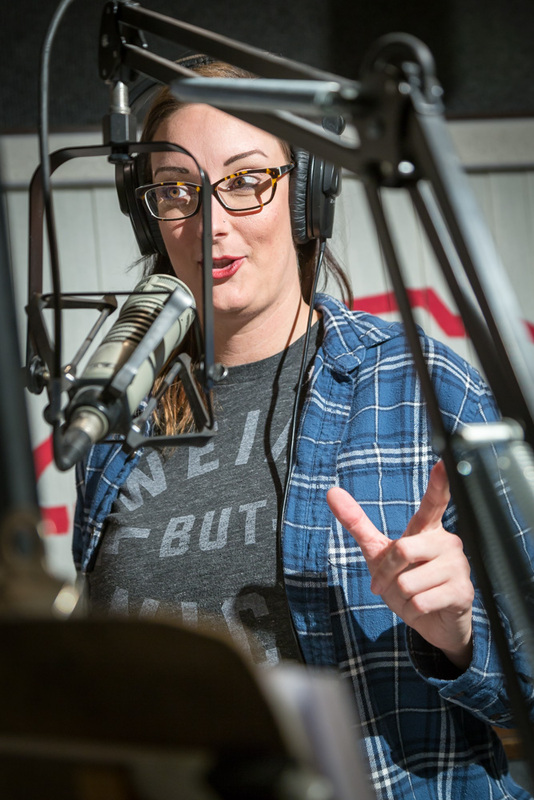 During her on-air time, she likes answering phone calls, honoring music requests and informing her audience about local news and traffic while simultaneously scanning three computer screens – one for 9-1-1, one for social media and one for breaking news. Her naturally sarcastic sense of humor is ideal for keeping her fans entertained. “I try to stay on top of everything,” she laughs. “I like to let listeners know about pop culture stuff, as well as when there’s a mattress flying on I-75, or horses loose on the roadway.” Burke wears several hats and serves as the promotions director, writes news content for both station’s websites, and manages all the social media platforms. In addition, she assists in making sure commercials, giveaway contests and other promotional events are orderly and executed to the advertisers’ satisfaction. 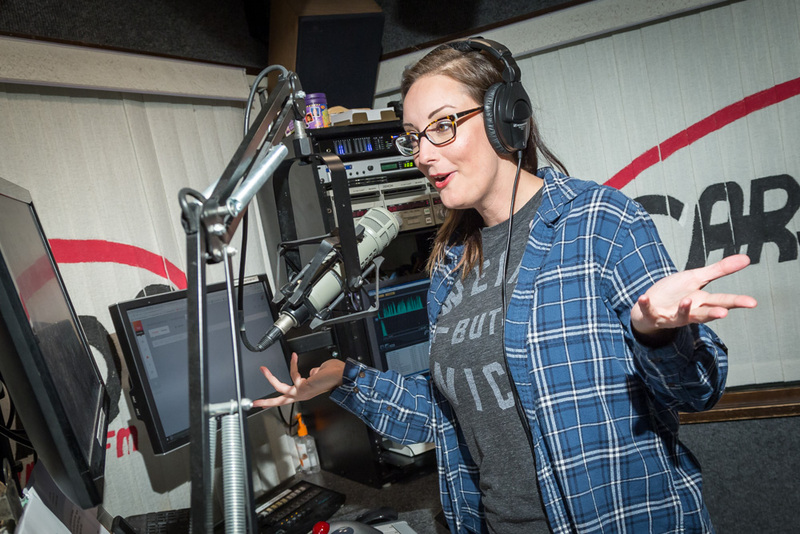 “There’s a lot to do at a radio station besides being on the air,” she says. 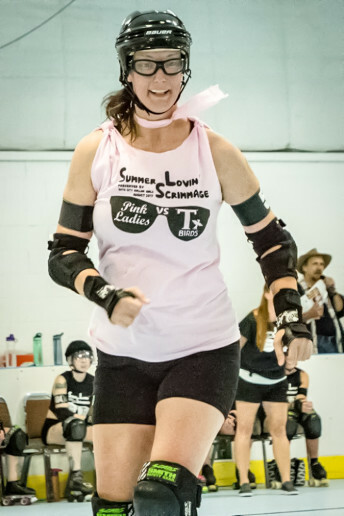 On Sundays, Wednesdays and Fridays, Burke enjoys her kind of workout – practicing and playing roller derby with the Bath City Roller Girls. 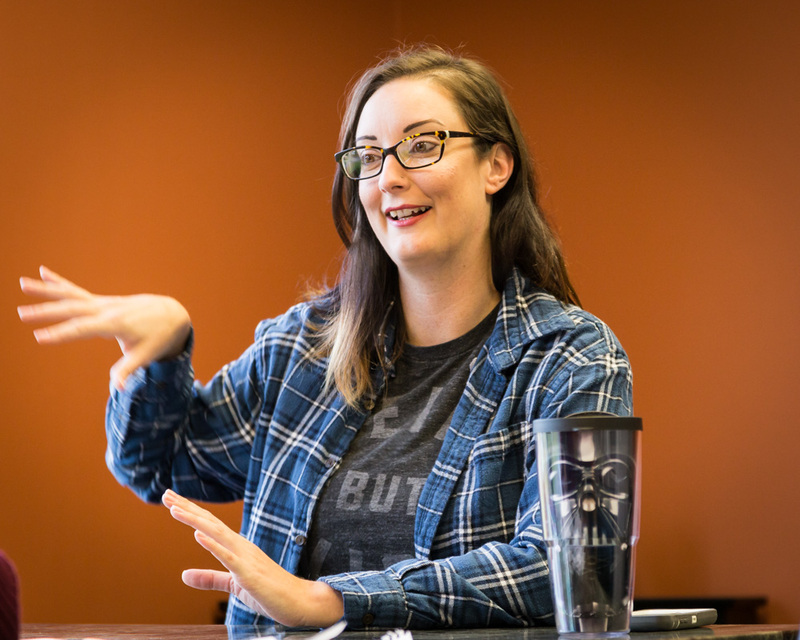 Burke also is fascinated with comic books that have a “soap opera-horror story element.” She specializes in writing comic book reviews for the Slackjaw Punks website. “I’m a comic book nerd and I love writing about the characters and storylines,” she shares. 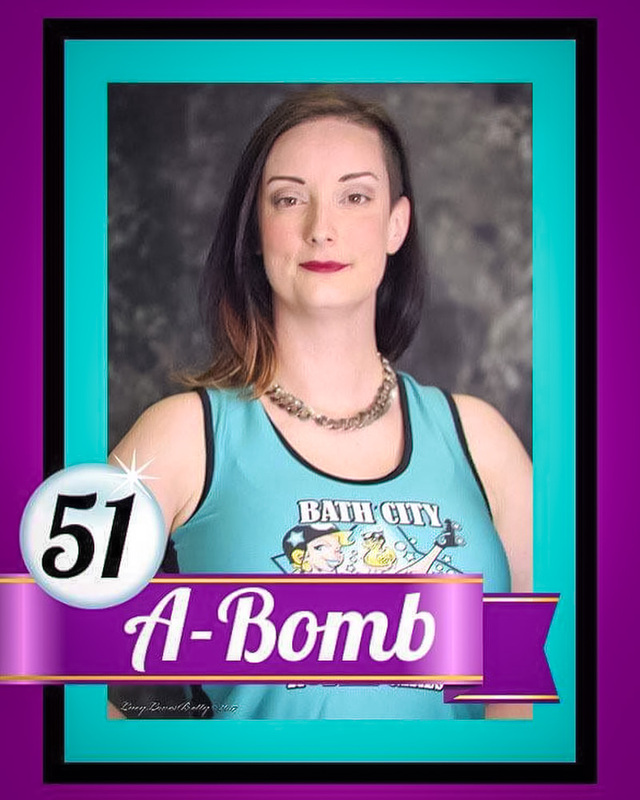 Whether she’s behind the microphone in the studio, wearing yoga pants or roller skates, performing as a burlesque dancer, writing comic book reviews or browsing shops for vintage items, Burke is living life her way and intentionally finds fun and meaning in whatever experience comes along.